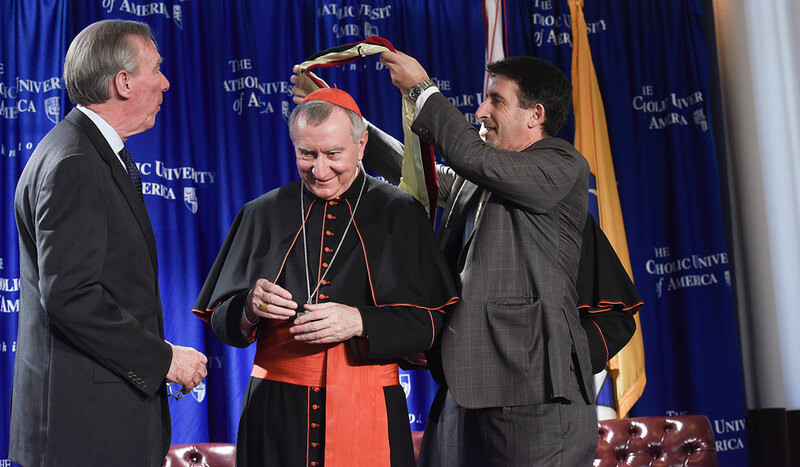 Cardinal Pietro Parolin, the Vatican’s secretary of state, spoke about the ongoing legacy of the Second Vatican Council during an address Nov. 14 at The Catholic University of America. 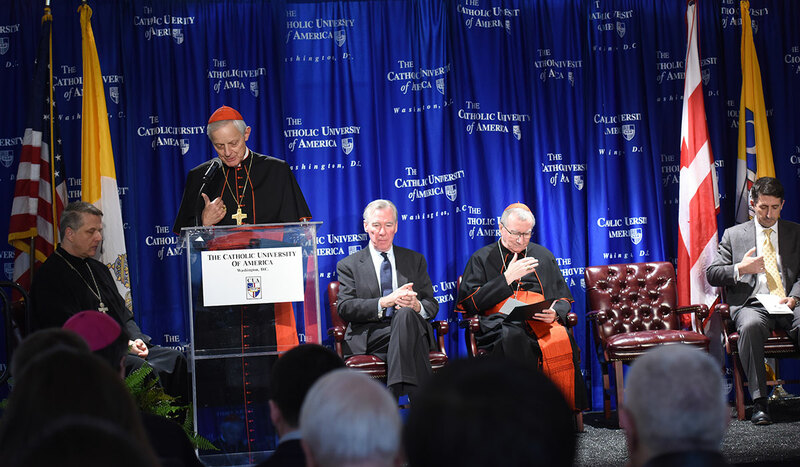 The cardinal delivered his address, “The Council: A Prophecy that Continues with Pope Francis,” in Italian, with simultaneous English translation before a crowd of clergy and members of the University community. 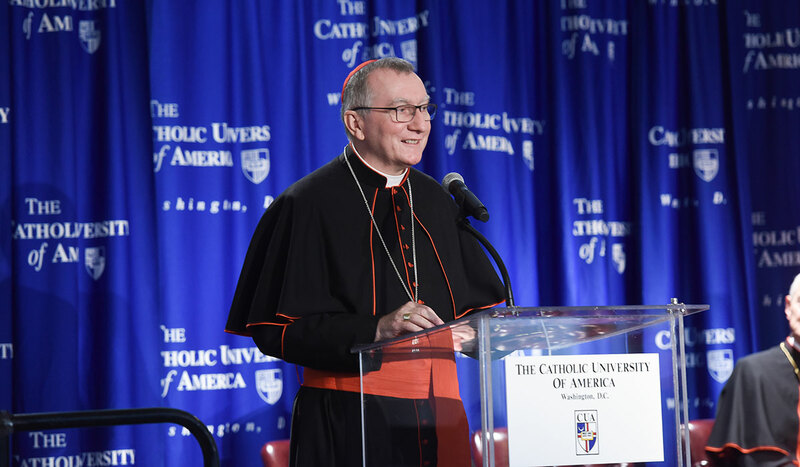 Though Vatican II took place more than 50 years ago, from 1962 to 1965, Cardinal Parolin said it remains “a prophetic character” in the Church, continuing to shape the life and behavior of the Church to this day. 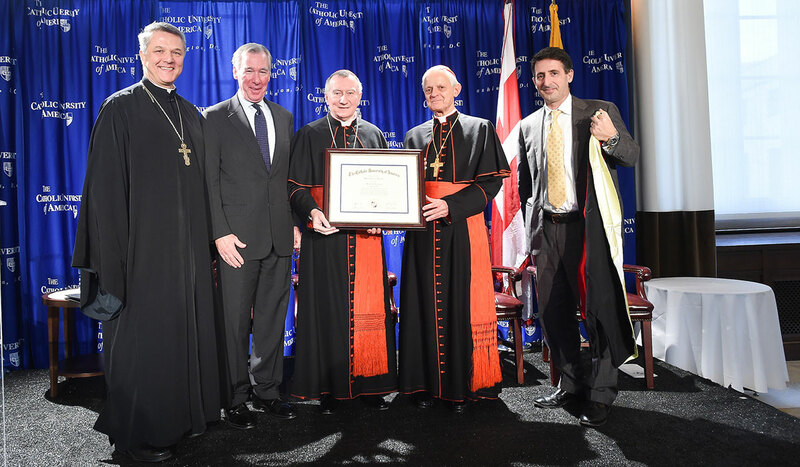 “The Council has introduced in the life of the Church and its relationship with the world a new style and new seeds, drawn from the source of the Tradition, especially from biblical and patristic sources,” he said. 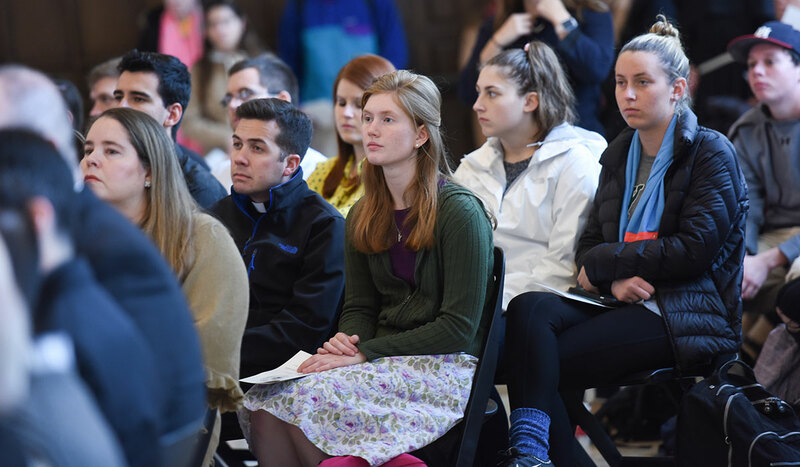 ​He carefully demonstrated the manner of unfolding of the teaching of the Second Vatican Council through the papacies of Pope Paul VI, John Paul II, Benedict XVI and Pope Francis. 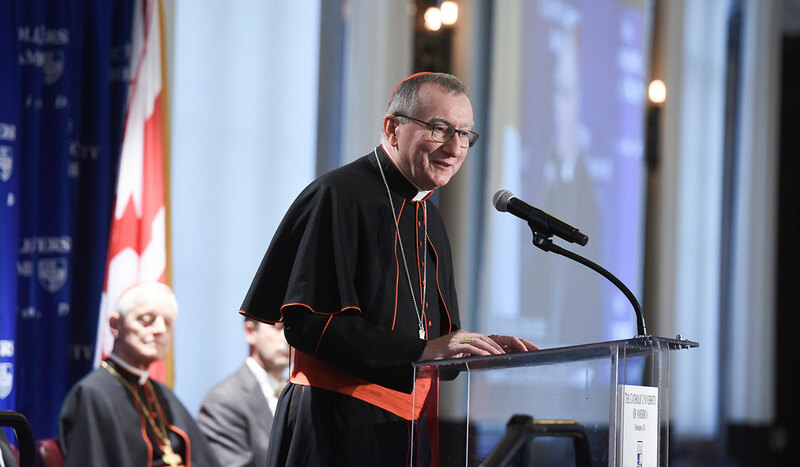 Cardinal Parolin was appointed as the Vatican’s Secretary of State four years ago, having previously served as an apostolic nuncio in Nigeria, Mexico, and Venezuela. In service to the Holy See, the cardinal has addressed the United Nations Security Council on the dangers of religion-based terrorism, urged global leaders to adopt a “transformative agreement” on the problem of climate change, and encouraged the international community to address the religious persecution that forces millions to become refugees, forced migrants, and internally displaced persons. 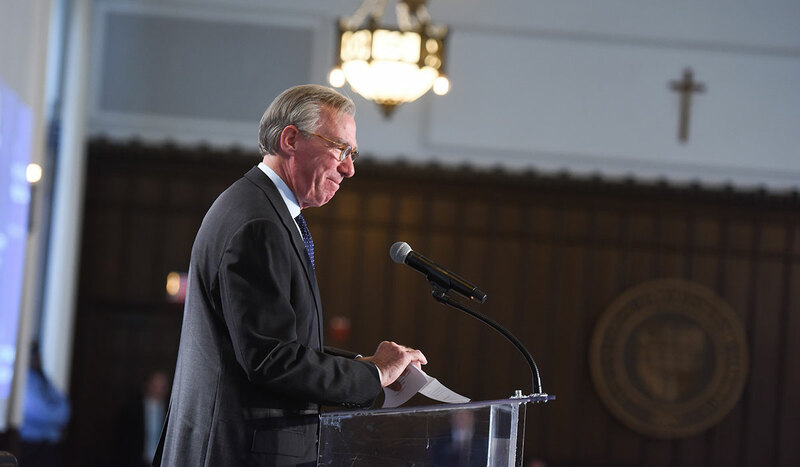 Catholic University President John Garvey also gave remarks, noting what a privilege it was to welcome Cardinal Parolin into the University community. 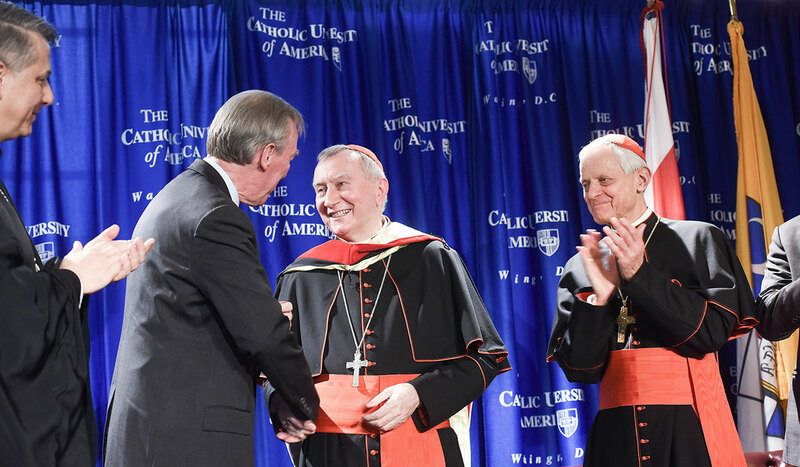 Cardinal Parolin said he was honored to receive the degree and noted that the University “is to be commended for its efforts in providing an encounter between students and the living God” and for sharing the good news of Jesus with the nation and the world.